Michael Graves Architecture & Design (MGA&D) is recognized as one of the leading design firms in the world with offices in New York, NY and Princeton, NJ. 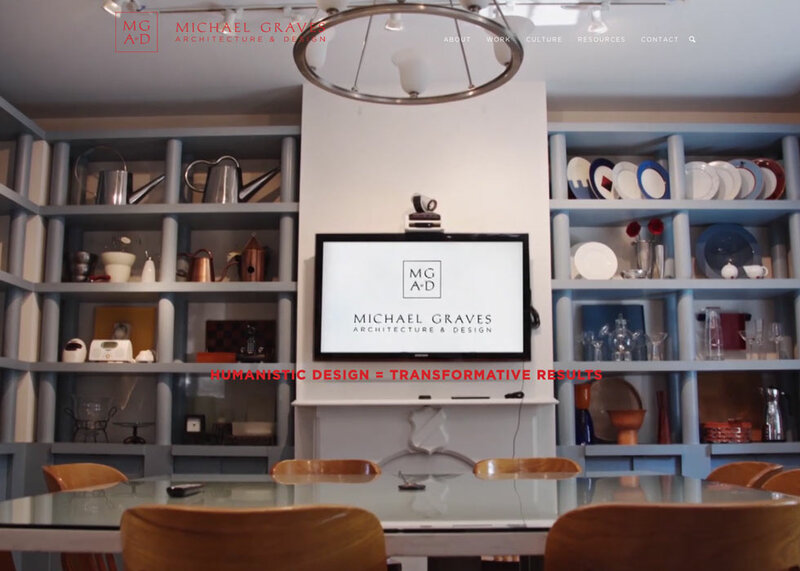 I have assisted Michael Graves design team with developing and launching their new website. This very large website was a collaborative effort between many people. My role was to implement customizations in their starter WordPress theme, fix bugs and develop various modules. 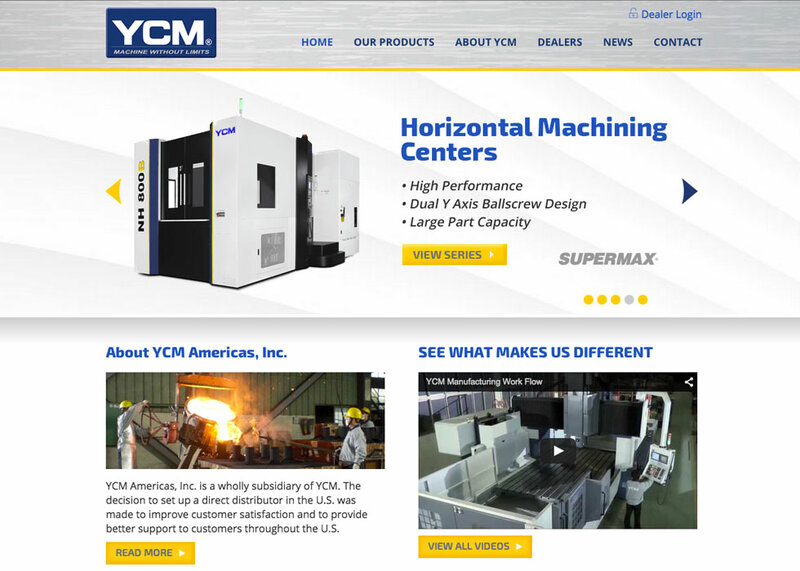 YCM, founded in 1954, has been recognized as the CNC manufacturer with the biggest scale in Taiwan. I was responsible with building an online presence for the USA market. The new website is responsive, optimized for mobiles, which gives company an edge over the rest of the competition. Their large inventory with many products, categories and subcategories made it challenging to create a website easy to navigate. In the end we found a good solution for that. WordPress was able to handle the content complexity very well. 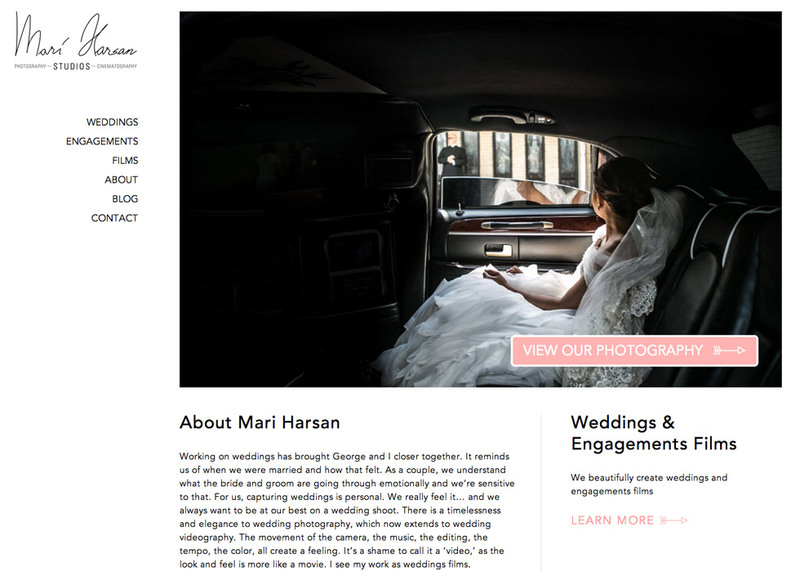 Mari Harsan Studios is a husband and wife team specializing in wedding photography and cinematography. Serving Washington DC, Northern Virginia, Maryland and occasionally other parts of the US and the world. The overall project was an success. In less than one month their website already registers an average user visit length of 3minutes 42seconds. An engaged audience is more likely to convert into customers or business referrals. 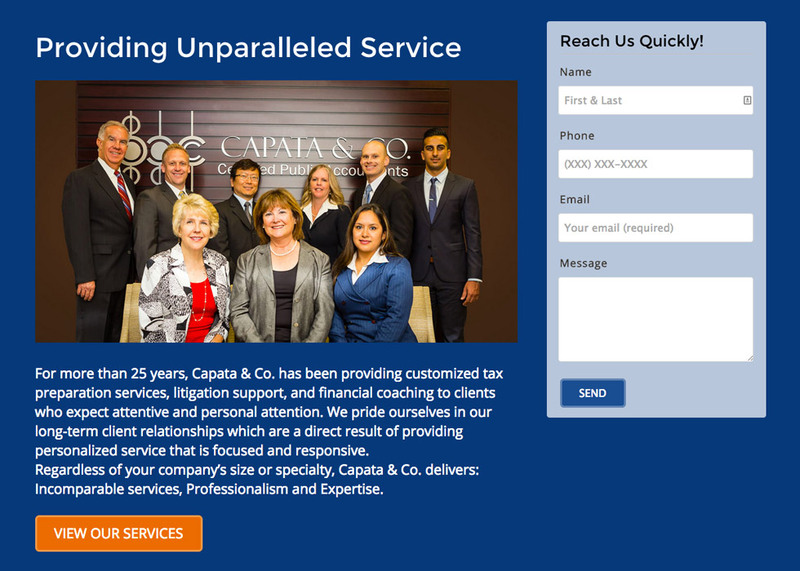 Capata & Co. is an accounting firm located in Laguna Niguel, CA. I have helped them with creating a modern website that reflects their branding and is easy to access on mobiles and tablets. The content is easy to manage by the client using WordPress. The new improved website makes it straightforward for prospects to sign up to newsletter, contact the firm and upload securely private documents. Thank you for all your business and Happy New Year!